WHAT: Trans pride was on display Friday as the biggest Trans March ever in Canada kicked off WorldPride weekend. The event is partly a means of raising public awareness of trans issues, as well as a celebration of Toronto’s trans community. 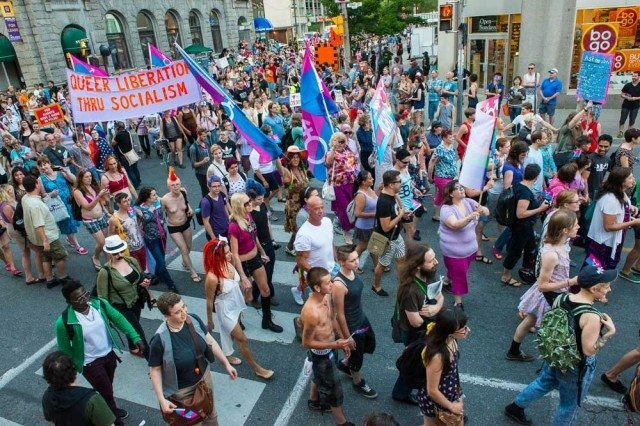 Two trans marches took place this year—the official, WorldPride-affiliated event, and a smaller protest march by the unaffiliated Trans March Toronto. Check out the gallery to see what you might have missed.